The Taylorville City Council met in regular session on Monday night, and approved many motions and resolutions. The council approved the Plan Commission Recommendation of the Site Plan for Midtowne Plaza on 1510 & 1512 Springfield Road. Pat Kretzer, Interim Chair of the Plan Commission addressed the council that there will be no sidewalks built on Route 104, but sidewalks will be built north of the proposed site. The Council also approved to direct Jacque Nation, the City Treasurer, to begin charging appropriate late fees to the State of Illinois for water delinquent payments. Mayor Greg Brotherton told Regional Radio News due to the ongoing frustration, they will start charging late fees. City Attorney Rocci Romano was absent, therefore no City Attorney updates were provided. In other Taylorville City Council action, Mayor Greg Brotherton brought up discussion that residents within the city have been complaining about unsightly trash that has become an issue. Mayor Brotherton says residents who have not picked up their trash on their property will be issued a verbal warning first, and if they don’t comply, George Calvert, City Zoning Officer, issues a citation. Brotherton further stated the process may take two to three months in court. Brotherton added there are legal ways or lending a hand to help out neighbors. Following the Mayor’s updates, were committee reports where the Council approved many motions. In other Taylorville City Council action, a motion was passed to approve amendment #9 for engineering services related to water system improvements for the new Water Treatment Plant for approximately $1.5 million and to have the Mayor and City Clerk to sign the appropriate documents upon approval of the City Attorney, along with the other remaining new water treatment plant items. For the new Water Treatment Plant, the Council approved the agreement for Architectural Services-Bidding and Construction Phase with Oates and Associates in an amount not to exceed $95,000. The Council also approved for the engineering services-bidding and construction phase with Clark Dietz, Inc. in an amount not to exceed some $133,000 for the new water treatment plant. They also accepted the low quote of some $2,000 from Sidener Enviromental Services for chlorinator and injector maintenance parts and service. The Council also approved request and grant a special events permit for the annual William Walter Catch a Fish Day on Saturday, May 7 from 8-10 a.m. at Kiwanis Park at Lake Taylorville, and grant a special events permit for the S.B. Edwards Youth Fishing Tournament on Saturday, May 14 from 9 a.m. until noon at the Kiwanis Park Pavilion and boat dock area. 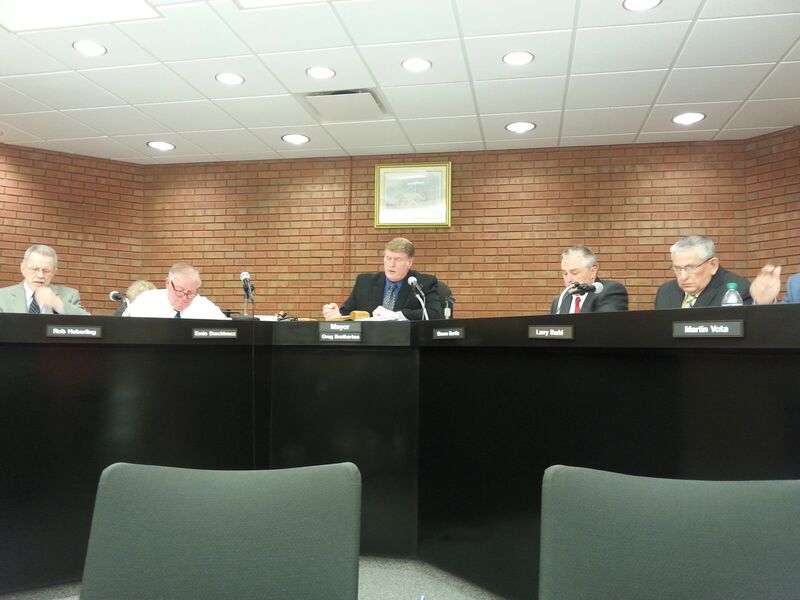 The Council approved the payment of bills totaling some $122,000 and the meeting adjourned after 7:30 p.m.